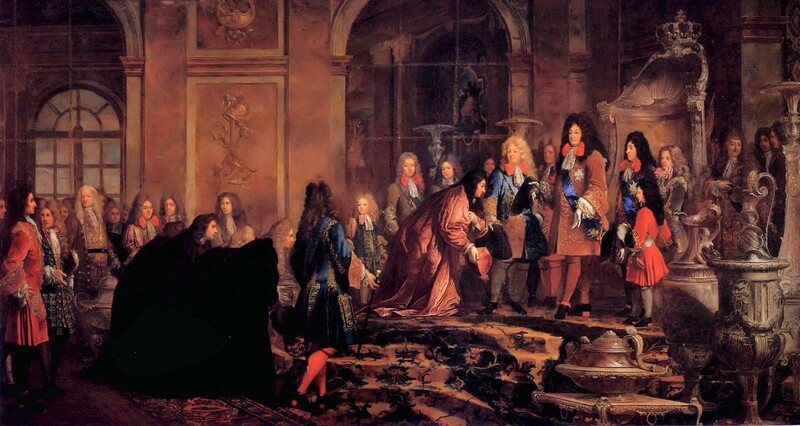 The court of the Louis the XIV was filled with many talented creatives, beautiful women and people of nobility. But there was no one more talked about than the Duc de Lauzun. For comparison, this Duke represented the personality type many know as Tyrion Lanistor, of the HBO series Game Of Thrones. 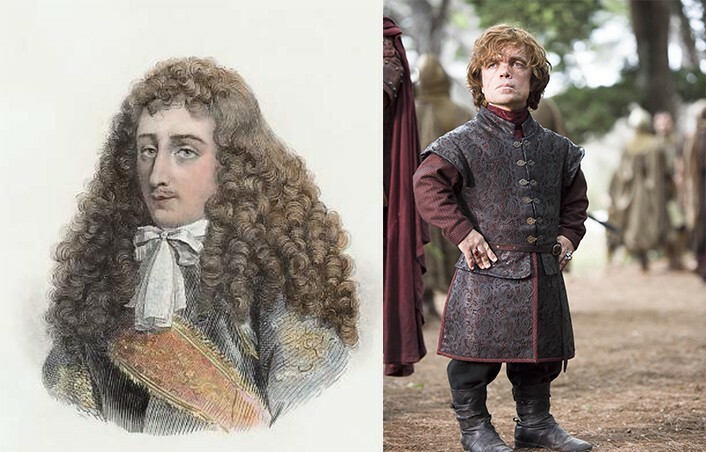 The Duke was dwarfish, he slept with the king’s mistress, openly insulted not only other courtiers, but the King himself — very similar to how Tyrion behaved. Louis, however, was so beguiled (enchanted) by the duke’s eccentricities that he could not bare his absences from the court. It was so simple. The strangeness of the Duke’s character attracted attention. Once people were enthralled by him, they wanted him around, at any cost. 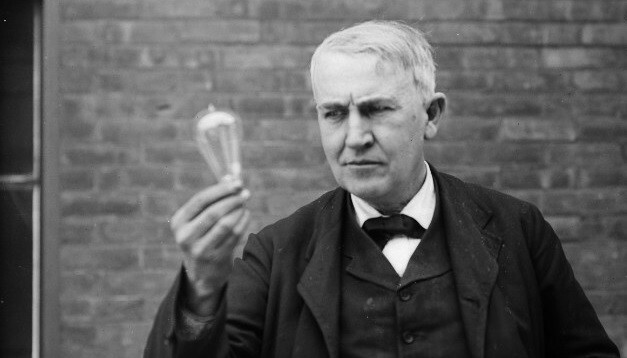 Thomas Edison would create dazzling experiments to display his discoveries within electricity and boast about future inventions that seemed amazingly breakthrough for the time. Thomas Edison, an American inventor and businessman. He developed many devices, including the phonograph, the motion picture camera, and the electric light bulb. He would talk loudly about all these future inventions which drew the public’s attention as Edison become a frequent topic of conversation. 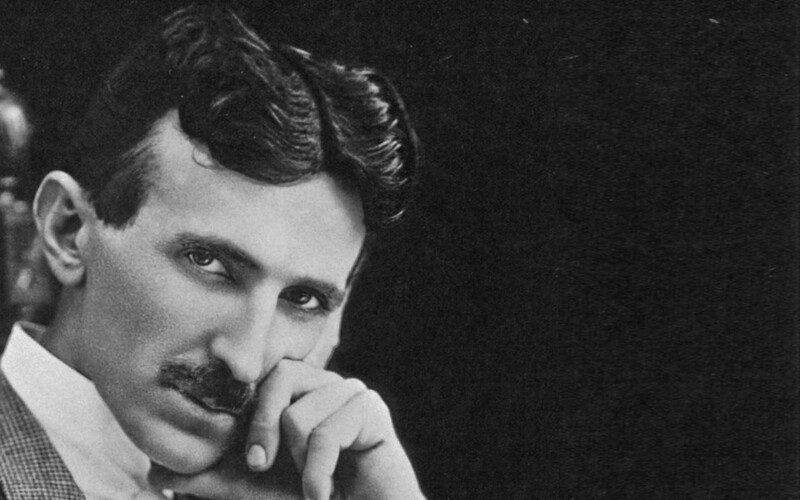 He did everything he could to make sure he received more attention than his rival Nikola Tesla, who arguably may have been more brilliant and talented than Edison, although far less known. In 1915 it was rumored that Edison and Tesla would be joint recipients of the years Nobel prize in physics. However, the prize wasn’t given to either of them in the end. It was later discovered the committee had actually approached Edison on a joint Nobel prize, but he had turned them down refusing to share the prize with Tesla. 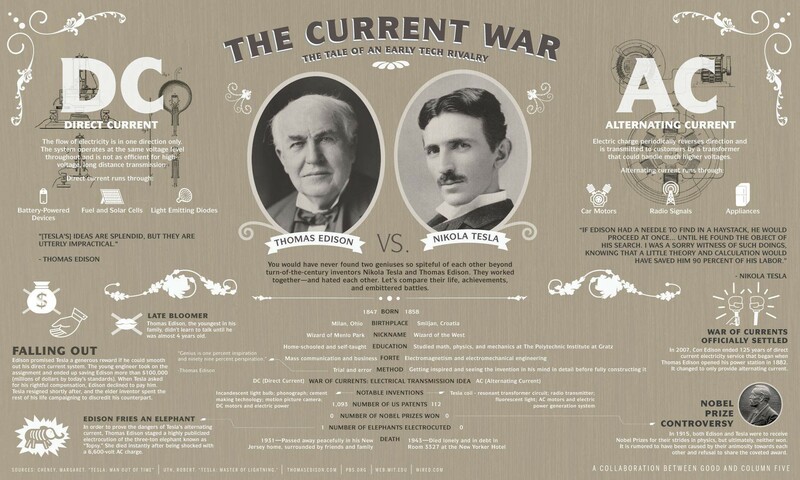 By that time Edison’s fame was much more secure than Tesla's, thus he thought it was smarter to refuse the honor than allow his rival the attention that would’ve come from sharing the prize. The above quote illustrates half the celebrities that ever existed. 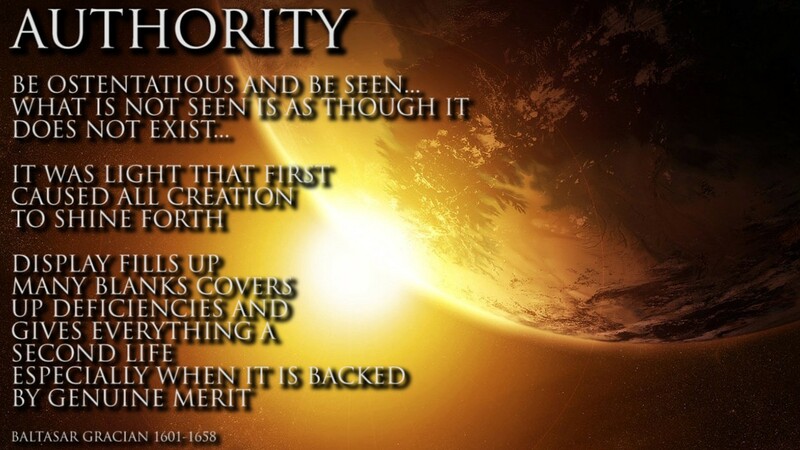 In the time we live now it has become much easier to become a minor, or major “celebrity”. Understand, the majority of celebrities are forgotten from mainstream relevancy within a number of years as their five minutes of fame is extinguished and the public finally see the lack of true substance and value they hold. In the mean time, the people move on to the next shiny thing with their short attention spans, and the cycle continues. 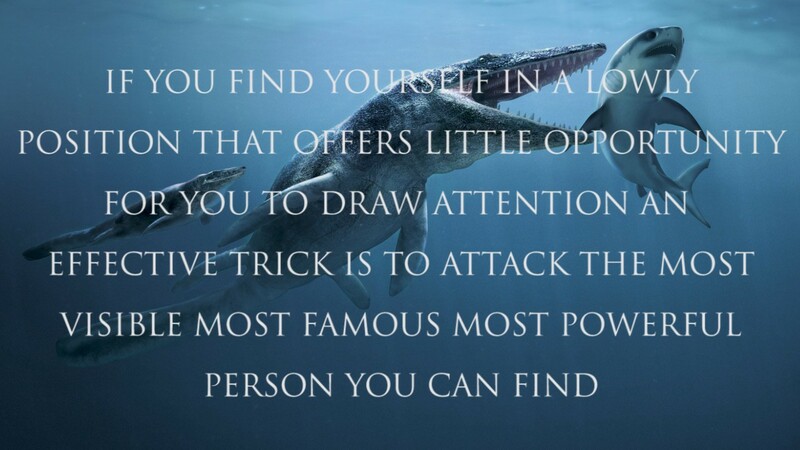 Understand the game of attention requires vigilance and creativity and those who make it through to ‘legend’ status possess a unique set of characteristics that is perfect for the time their living in. 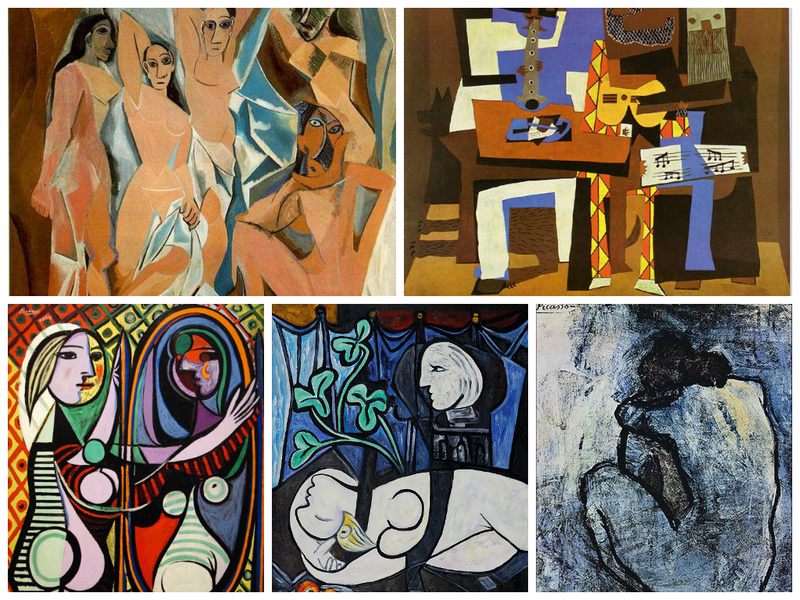 Pablo Picasso never allowed himself to fade into the background. Once he knew his name was becoming too attached to a particular style, he deliberately upset the public with a new series of paintings that went against all expectations. Better to create something ugly and disturbing he believed, than let viewers grow too familiar with his work. 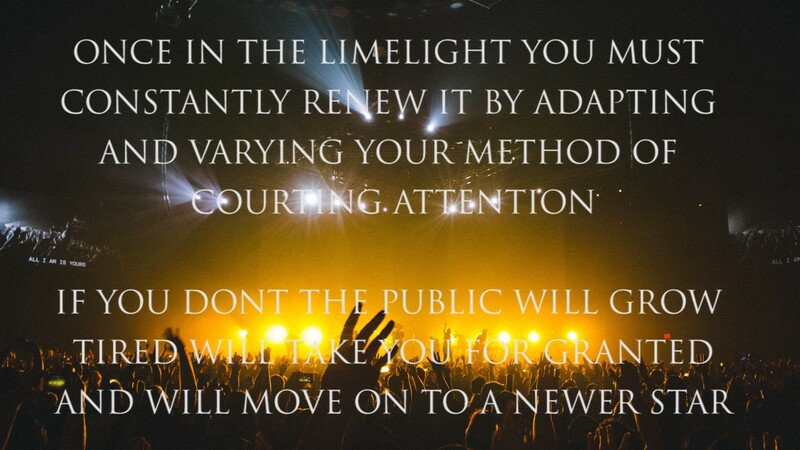 Great examples of this idea can be seen within the music industry. Kanye West is an accurate modern day example of this. 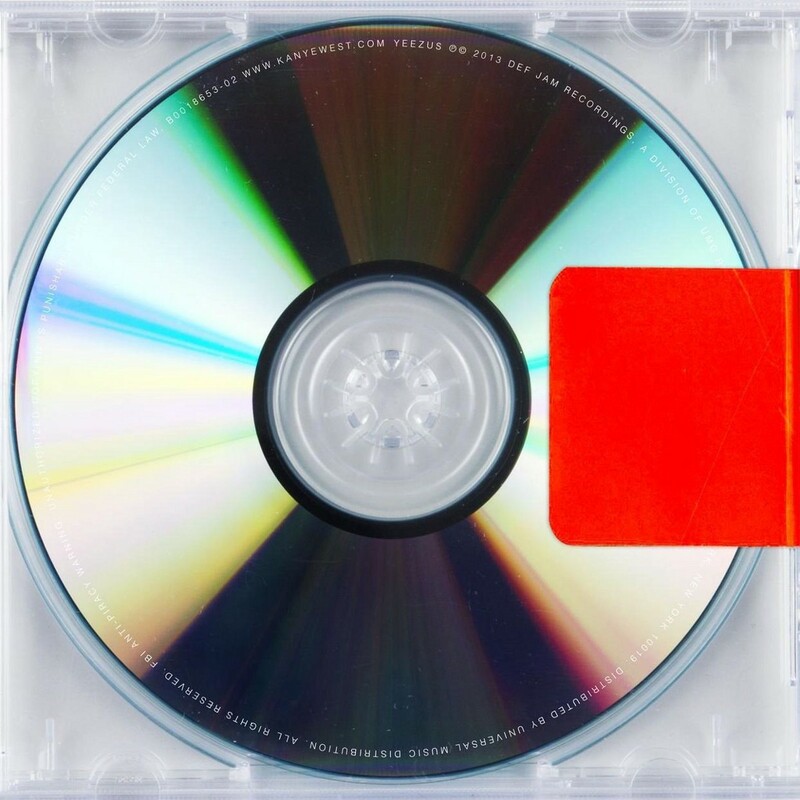 His sixth solo studio album Yeezus was widely controversial due in part to the aggressive sonic experimentation, resulting in many hating it, and many loving it. Yeezus sounded completely different to nearly anything made within music in the 21st century. Additionally, it sounded completely different from anything he had ever made. Regardless of what your think of his music, he courts attention through it every single time it is released. Notice many people who don’t even like Kanye West were, and still are, talking about him more often than artists they like. West has been intelligently courting attention with his polarizing unapologetic character and music for the last decade to drive millions of music sales and break dozens of records. Understand: People feel superior to the person whose actions they can predict. If you show them who is in control by playing against their expectations, you both gain their respect and tighten your hold on their fleeting attention. This idea intertwines with Law 3: Conceal Your Intentions. To reiterate, people feel superior to a person whose actions they can predict. If you conceal your intentions and you say less than necessary (law 4), then you become more mysterious and less predictable. 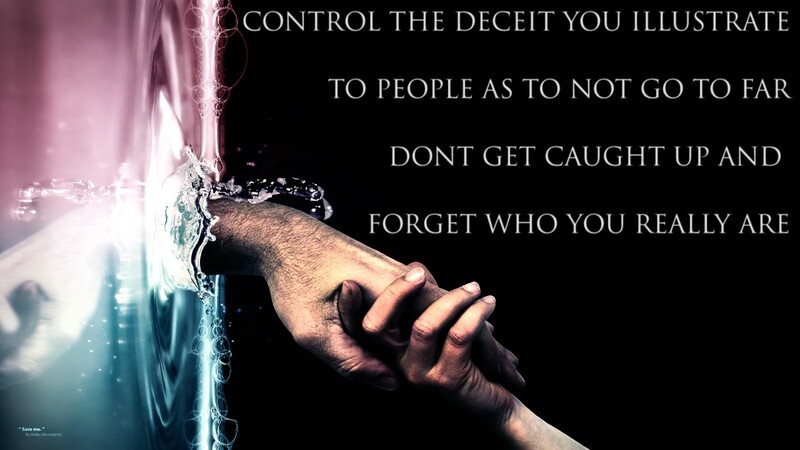 You take back a control over your reputation and you court attention. Notice the fluency by which these laws interact with each other. About 100 years ago in 1905, there was a rumor that spread throughout Paris of a young Oriental girl that danced in private homes. She was very exotic; she wrapped herself in vails, would dance seductively for people, and was from another country. A local journalist had seen her dancing and reported a woman from the far east had come to Europe, laden in perfume and jewels; to introduce some of the richness of oriental color and life into the satire society of European cities. Soon everyone knew the dances name: Mata Hari. Mata Hari would only perform for very small select private audiences. 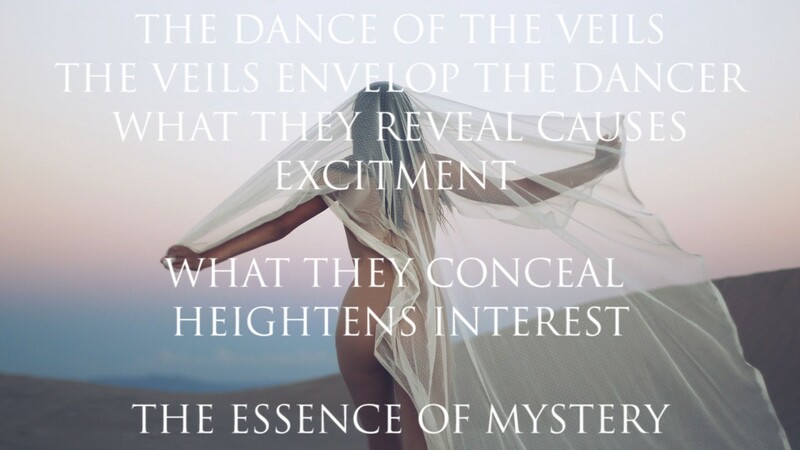 She wore alluring cloths covered in jewels, she danced in a way that was a seductive and trance like. She told her audiences that her dances were based on stories on Indian mythology and Javanese folktales. Everybody wanted to know more about her. She told journalists she was Dutch, but had grown up in Java. She boasted about her time spent in India learning sacred exotic dances. Few people had actually seen her dance, but everyone knew who she was. As a result, people started conjuring up all types of exotic alluring images of her. They even compared her to the likes of an Indian goddess. 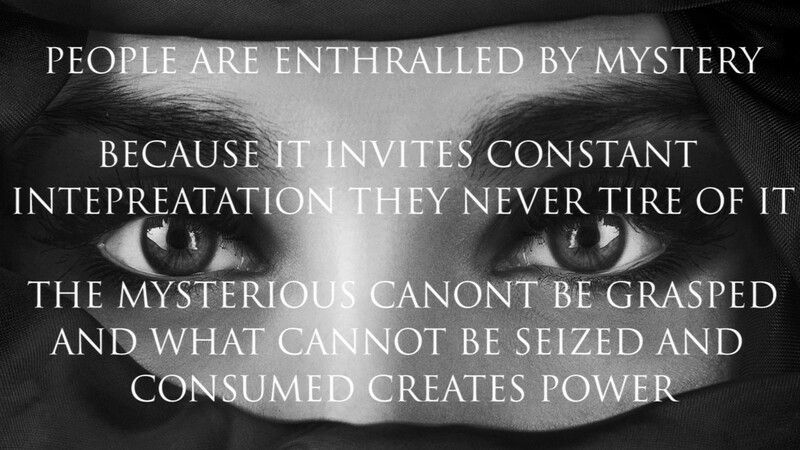 Whatever they’re imagination wanted to see in this mysterious woman, it saw. She later performed for the first time in public. At this point she had become a kind of cult-like figure even spawning imitations. Soon enough, her dances spread beyond Paris as she was invited to Berlin, Vienna and Milan. Over the next few years she had performed all over Europe. She earned an income like no other for someone her age and gender. A sudden turn of event’s soon swept Mati Hari from underneath her: near the end of World War 1 she was arrested in France, tried, convicted, and executed as a German spy. Only during the trial did the truth reveal itself. 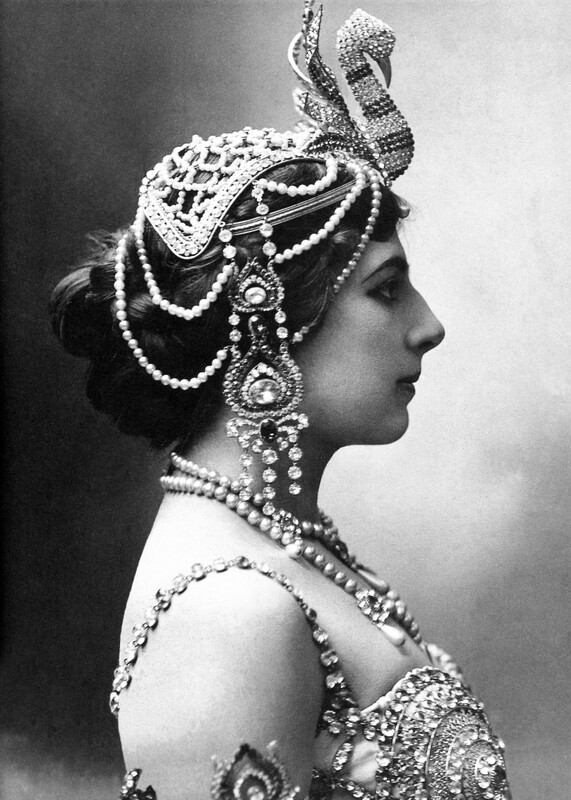 Mata Hari wasn’t from Java. She hadn’t grown up in the Orient, she did not have a drop of eastern blood in her. Her real name was Margaretha Zelle, and she came from Holland. That is all she was, but the question remains, how did she come about this sudden fame and wealth? Margaretha Zelle better known by the stage name Mata Hari, was a Dutch exotic dancer and courtesan who was convicted of being a spy and executed by firing squad. Margaretha learnt to dance while she was traveling with her family in Java, she studied and mimicked their behaviors. 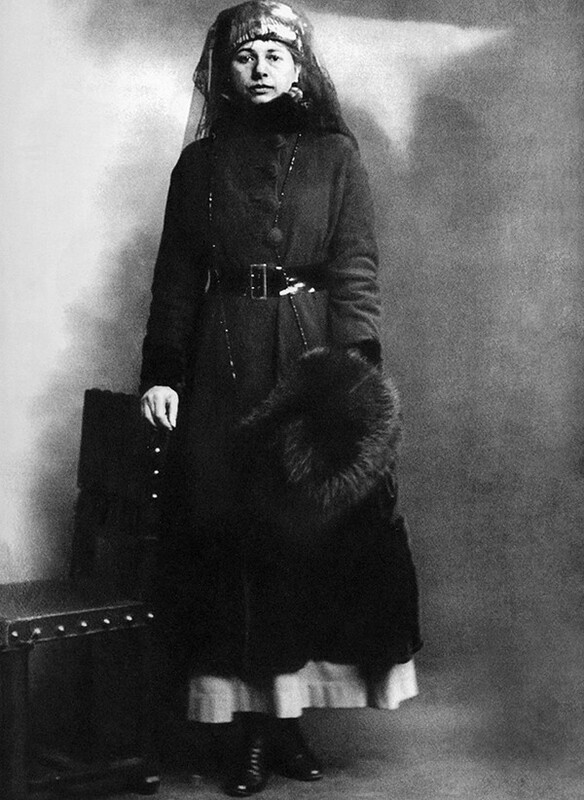 Margaretha wasn’t unlike many of thousands of beautiful girls who landed in Paris every year, but, she was ambitious and she wanted to create something unique for herself, so she did. What attracted the public’s attention and made her famous and wealthy was her mystery. Margaretha’s mistake was going public with her performances, she took her lie too far and courted too much attention, to many thousands of people knew her name. She seemed to abuse her power and mystery and placed herself in vulnerable situations that eventually got her caught and executed. She wasn’t actually a spy, regardless that’s the story they conjured from her own fake story. 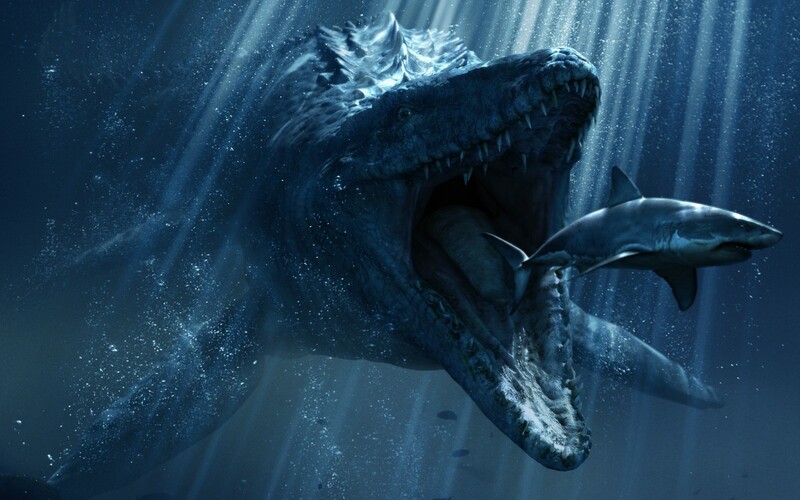 Why do some appear to attract this ‘mysterious’ demeanor and others don’t? By utilizing a more stoic serious poise your put yourself in a position to appear mysterious due to the lack of haphazard emotion displayed. 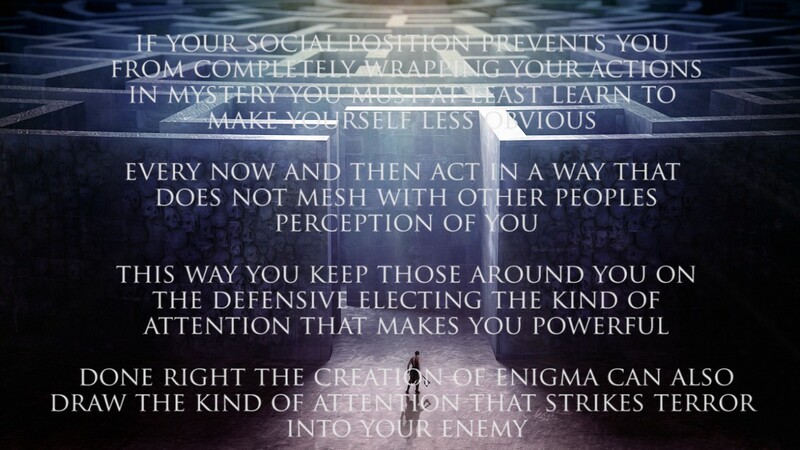 Not only do you seem in control, but you appear like an enigma. The more your peers appear the opposite, the more unique you seem. It’s harder to guess someone’s intentions or next moves when they are not giving off many emotions. Human being’s are emotional creatures, and to appear the opposite of the norm, creates a kind of illusion of difference that causes curiosity. However, there are many in certain social or professional positions that cannot execute this due to environmental parameters that prevent them from completely wrapping their actions in mystery. 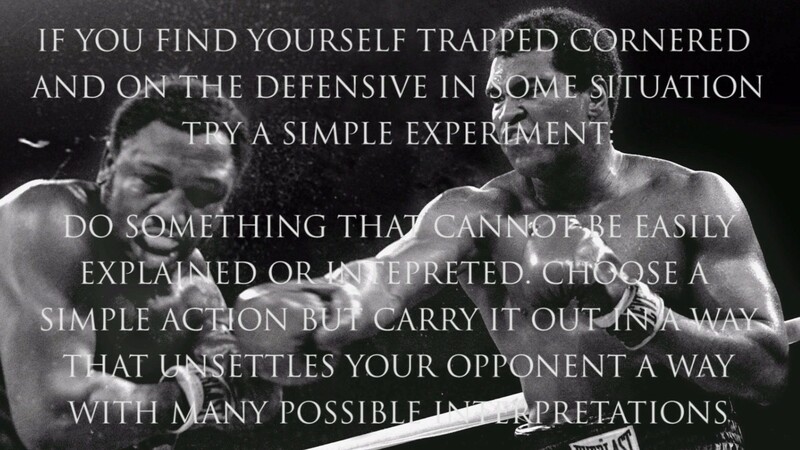 The essence of this is being strategically random with your behavior. Being random with a purpose. Some may say, well doesn’t that mean it’s not random anymore? 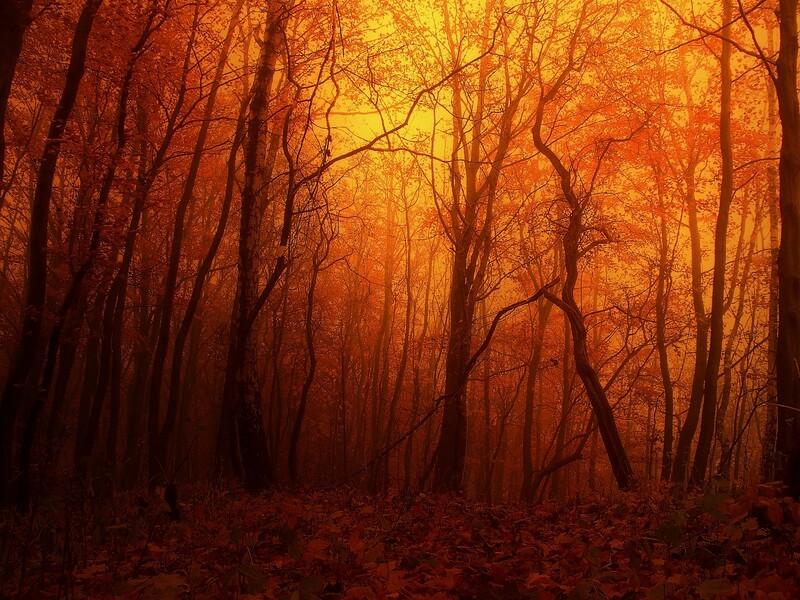 The purpose is to give the illusion of randomness under the pretense of strategy and awareness. Notice this statement relates to the very first law of the book: Never Outshine The Master.